March 11, 2016- Vancouver BC, Point Roberts WA- Investorideas.com, a digital global news source covering leading sectors including renewable energy and water, reports on the Mayim Water Project, creating sustainable water solutions for Central Africa – Sub region, as World Water Day approaches. This year’s theme for World Water Day #Worldwaterday, being held March 22, 2016 is Better water, better jobs. The Mayim water project represents a business and investment opportunity, while ensuring better water quality to a large population currently spending too much for water. The 2014 World Bank data estimates a total population in the DRC of 74.87 million and 12 million living in Kinshasa, the capital city. With the average family spending between: $45 to $70 a month for drinking water, Mayim is planning on offering a better and more affordable solution. Mayim’s primary products include 750 ml still water bottles and 1 000 litres still water in intermediate bulk containers (IBC).The IBC can be attached to supply a household piping system or just a kitchen faucet. Esobecorp’s services also include water resource management and project management. InvestorIdeas.com is a digital media global news source covering leading sectors including water. March 8, 2016 - Vancouver BC, Point Roberts WA - Investorideas.com, a digital global news source covering leading sectors including renewable energy and water, reports on the recently held GLOBE 2016 Conference & Innovation Expo (#Globe2016), held in Vancouver last week. Leaders from around the world gathered to discuss key topics in sustainability, including water. In this panel session, “Water Integrity: Infrastructure & Innovation”, water scarcity and water security were discussed. Climate change, pollution, the way land is managed and drinking water problems all demonstrate a host of issues here in water-rich Canada. He also points out the degradation of water quality across Canada. With all the challenges, he also pointed out that smarter technologies for land and water management could provide solutions. This session brings a solutions-oriented outlook on water security trends to ensure access to water and catalyze economic growth. Join leading experts to learn how investment, emerging models of delegated water governance, innovation and technology deployment are scaling solutions and addressing water scarcity. Take away key insights on how cross-sector partnerships create opportunities for sustainable business and effectively conserve, manage and distribute this vital resource. Lindsay Bass is Head of the US Corporate Water Stewardship Initiative for the World Wildlife Fund. The initiative leverages private sector partnerships to conserve water resources and freshwater ecosystems. Karen Bakker is a Professor and Canada Research Chair at the University of British Columbia, where she is the Director of the Program on Water Governance (www.watergovernance.ca). The mandate of the program is to spur policy innovation in water governance. Her team has worked in over a dozen countries on four continents. John Coburn - Managing Director, XPV Water Partners & Director, FilterBoxx Water & Environmental Corp. John has over 40 years’ experience of leading, operating and investing in water and wastewater companies. Video Release: GLOBE 2016 Conference #Globe2016 Panel Session; Disruptive #Innovation & #Technology: What will it Really Take to Move the Needle on #Climate? March 3, 2016- Vancouver BC, Point Roberts WA- Investorideas.com, a digital global news source covering leading sectors including renewable energy, reports from the GLOBE 2016 Conference & Innovation Expo #Globe2016, hosted in Vancouver from March 1-4th. GLOBE 2016 Conference & Innovation Expo is a leadership summit for sustainable business that gathers some of the best thought leaders in the sector to discuss solutions. 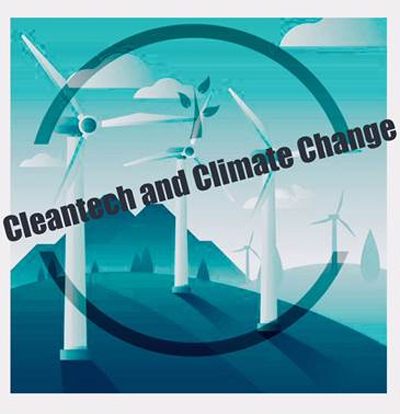 In this panel, Disruptive Innovation & Technology: What will it Really Take to Move the Needle on Climate, you will hear insight from thought leaders including Deb Frodl , Global Executive Director of ecomagination at GE (NYSE:GE). #Globe2016 Panel session Disruptive Innovation & Technology: What will it Really Take to Move the Needle on Climate? March 1, 2016- Investorideas.com discusses the adopted Seventh Northwest Plan with Ralph Cavanagh (RC), Energy Program Co-Director at NRDC. As a champion within focused areas of, renewable energy and residing Northwest Energy Coalition board member, his responses address highlights of the seventh plan edition and expands upon his involvement among the one of the nation’s most powerful environmental groups; NRDC. A renewed whiff of vigor and energy eclipses the air of celebrated picturesque states of, Idaho, Montana, Oregon and Washington, with credit being owed to the regions recently approved Seventh Northwest Plan. The month is marked with a re-introduction into what will be a 20 year regional plan, establishing the foursome states as change stewards and cornerstone leaders in exemplifying why; appointing a greater percentage of its power to resources to energy efficiency in comparison to any other state in the nation, makes its power system the cleanest and most sought after. There’s no surprise that projected figures over the course of the next two decades show for an increased demand of electrical energy, 36 percent due in part to industrial output. Despite this, the Northwest reserves no hesitation in its ability to satisfy demanding energy loads, whilst remaining on track to continued reduction of annual carbon dioxide emissions by 22.2 million tons per year. Statistics as this can be attributed to the plans long standing history founded upon committed leadership, successful energy and investment planning and cost-effective energy efficiency endeavors, all spearheaded by a designated Power and Conservation Council who’ve instilled assurance in sustaining the Northwest as a clean and low cost energy system well into the future. Q: Why should we pay particular attention to the seventh regional plan installment, what key highlights should we be made aware of? RC: The Pacific Northwest has a proven record of energy efficiency leadership over more than 30 years, much of it driven by the regular comprehensive updates of the Council's plan (this is the seventh since 1983). The latest version is remarkable for all the new technologies covered (40% of the savings opportunities involve measures not available five years ago) and its attention to opportunities for savings at times of peak daily energy needs. Since energy consumers in the region are already saving more than $3.5 billion annually thanks to energy efficiency programs and standards guided by earlier plans, the Council speaks with special credibility here. Q: In the approved plan, climate change analysis recommends "retiring all of the coal plants" but cautions, that achieving "maximum carbon reduction" can pose "operational challenges" - evidently a balanced approach with sufficient reserves needs to be accessible. What action plan would you propose to best combat global warming while still accommodating clean energy needs? RC: The key here is an integrated portfolio of clean energy solutions, achieved through competitive procurement and resource management by increasingly nimble and innovative utilities. The Council's Plan provides a good blueprint; see also California's SB 350, enacted last year, which aims for a combination of increased energy efficiency, renewable energy (reaching 50% of statewide power supply by 2030) and vehicle electrification (electric vehicles are excellent storage devices for renewable energy production). Q: The Lower Snake dams operating in the power system, caused concern among salmon and wildlife advocates, is there a way in which clean energy and wildlife protection can simultaneously co-exist without undue hardship? And has NRDC considered a BioGem program to have the dams removed? RC: The principal proponents of dam removal, Save our Wild Salmon and the Northwest Energy Coalition, have both acknowledged the importance of replacing the dams' generation with clean energy sources, to ensure against ecosystem damage. NRDC strongly agrees, and supports the extensive work by both groups (over more than a decade now) to chart a path forward that meets the goals you are right in highlighting here. Q: Your organization has left a positive footprint oversees in China and India, what work have you done there? RC: Some of our most effective work in both countries has involved energy efficiency standards for new buildings and equipment, which have been NRDC priorities in the US and abroad since the late 1970s. Given the significance of China and India as both manufacturers and sources of greenhouse gas emissions, cooperation on efficiency standards is a matter of intense mutual interest. NRDC takes particular pride, for example, in its role in helping China establish rigorous efficiency standards for lighting systems in new commercial buildings. Q: What specific initiatives with NRDC do you have on the horizon? (2) ensure that cost-effective energy efficiency investments are at least as profitable to investor-owned utilities as power generation and transmission. We also need rate designs for electricity and natural gas that reward those who save energy, and continued progress on the EPA's Clean Power Plan once court challenges are resolved over the months ahead. For more, visit my blog. “By investing in energy efficiency at the levels recommended in the plan, we’ll be able to grow our economy without initiating an aggressive program to build new generating resources, and we’ll keep Northwest electricity rates low and maintain our quality of life,” it’s with this admission by Council Chair Henry Lorenzen’s that puts into context why the new plan positions the Northwest to compete economically in a low-carbon 21st century. A Pioneer and leader in seeking out environmental solutions, his focus areas are in electric industry restructuring, electricity competition, utilities, renewable energy, nuclear issues and retail wheeling. As a graduate of Yale University, Ralph possesses an impressive array of credentials and awards, some of which include; Recipient of Heinz Award for Public Policy, Lifetime Achievement in Energy Efficiency Award from California's Flex Your Power Campaign. Since 1980, his dedication has been paramount to Northwest utilities where his efforts helped achieve reduced electricity needs and the elimination for new coal-fired and nuclear plants, thus creating lasting partnerships striving towards clean and sustained energy.